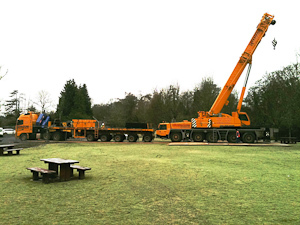 Cranes and large heavy plant need tough durable rig mats to ensure safe site access. 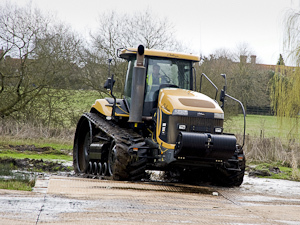 The composite Dura-Base mats allow constant repeated heavy loads over protracted periods of time, with no detriment to the underlying surface or damage to vehicles. Its non-slip surface ensures a safe working area for your workforce with negligible trip hazards. 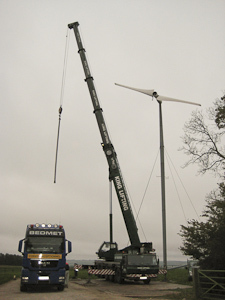 It increases traction for cranes and plant, thereby helping to ensure the safety of your crew. 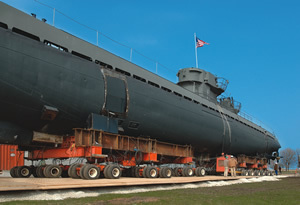 While you may not want to accommodate a submarine, the largest cranes and plant can travel across and operate on the Dura-Base temporary road mats with ease. 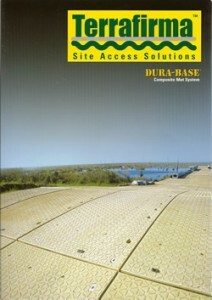 Dura-Base mats are laid using the unique Terrafirma Multi-Grab. 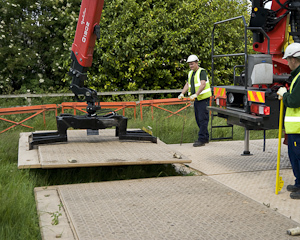 No chains, slings or air tools are required, so no manual lifting or handling of the mats is needed. 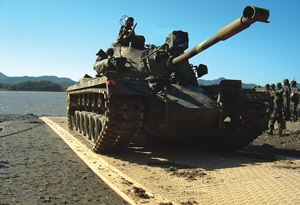 A simple locking pin locks the mats firmly in place, forming a continuous trackway with minimal trip hazards.